Among others, you’ll find a map of Germany that will help you choose the region you’d like to make a trip to. Further well-known cities and regions that are worth a visit are Hamburg, Hannover, Dresden, Wiesbaden, Nuremberg, Heidelberg, Stuttgart or Lake Constance which borders Germany, Austria and Switzerland. 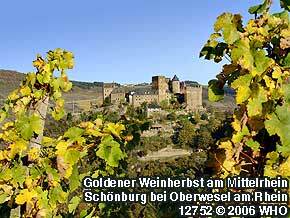 Less known towns that are also worth a visit in west Germany are Paderborn, Kassel in Hessen, Eisenach, the cities Hanau, Offenbach, Mainz in the Rhine-Main-Rivers area, Bingen in Rheinhesse and Mannheim. A lot of these cities and towns are full of interesting history. As a tourist, you’ll find short-term homes in a hotel, bed and breakfast inn or an apartment in these and all other regions of the country. Interesting to know is that some hotels in some regions are actually inside a castle and called castle hotel. On the internet site www.germany-map.com, you can find castle road maps that help you find castle hotels with restaurants throughout Germany. So if you wanted to, you could do some “castle hopping”! A castle that’s always very well visited is the 915-colm castle hotel Mid Franconia near Rothenburg o. d. Tauber in Bavaria. There is also a nice castle hotel near Koln Cologne Bonn airport on the Rhine River. Not all castles are castle hotels, but still worth a visit. For example, the Neuschwanstein castle near Fussen in the Bavarian Alps, is one of them. This castle in fact inspired Walt Disney’s Cinderella castle. At the foot of the Neuschwanstein castle, there are several small hotels or apartments. And the distance from one of these hotels to the castle Neuschwanstein is not that far. You can take a hike up to it and ride in a horse carriage back down or vice versa. One thing you definitely do not want to forget to take with you during your vacation in Germany is your camera because you will surely make lots of photos and pictures to capture the memories of this unforgettable vacation. There are plenty of ways of travelling to Germany. The quickest and easiest is, of course, by plane. Well-known airports are the Frankfurt / Main Airport, the Koln / Cologne (Koln) / Bonn Airport, Dusseldorf Airport or the airports in and around the capital city Berlin. Once in Germany, you don’t necessarily have to rent a car from a car rental agency to travel over the highway from town to town or city to city. You can almost always take a train to your destination. Rail tours of trains and a railroad schedule can be found on the internet or at the tourist information directly in the town you’re staying in. And if you can’t reach your destination town or city by train, you can still take a bus or a taxi for a reasonable price. 25 romantic german hotels and restaurants. Request all via one single form. 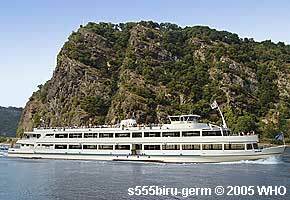 Rhine River Hotel Info - Loreley Valley - Price list of hotel rooms near the Rhine River castles in 40 different hotels, bed & breakfasts, inns, guesthouses. Request all via one single form.